NUIT BLANCHE all over town, Saturday (September 29), sundown to sunrise. Free. nbto.com. 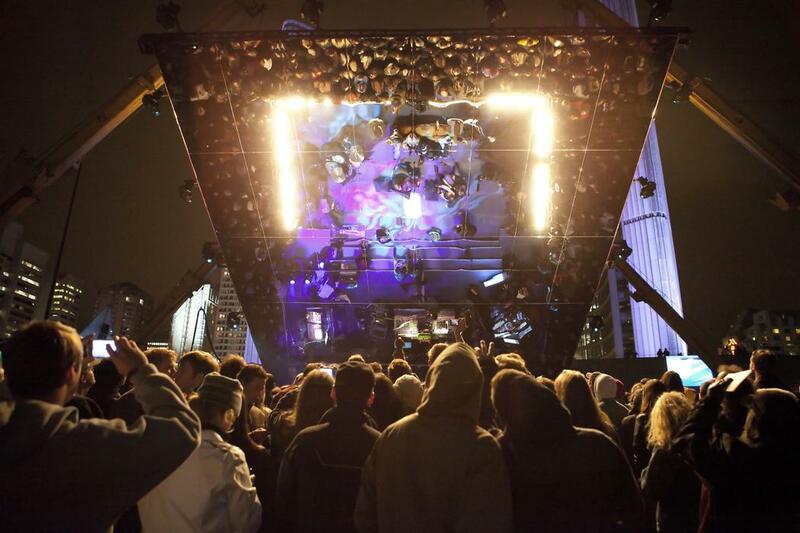 The city as art museum – that’s the basic premise of annual all-night art event Nuit Blanche. Now in its 13th year, and no longer with a big bank title sponsor, Nuit Blanche continues to thrive. This year it’s happening in the wake of the new MOCA’s debut in the Junction, an important milestone for the city’s art scene. Arguably, by showing a broad range of temporary art installations in free yearly events, Nuit Blanche helped create the overflow crowds that enjoyed MOCA’s free opening weekend. For the first time, Saturday’s event will see a portion of its festivities happening in Scarborough, including a series of artist installations on the Scarborough RT Line (up until October 8). Going city-wide is an excellent way to diversify the ethos of bringing art to the people. This Nuit Blanche is creating the better megacity that Toronto needs right now. Here are 10 must-see exhibitions. As past editions have proved, making use of City Hall’s underground parking garage adds to the power of the artworks seen there. This UK artist is presenting large-scale photo installations that combine collaged images of early immigrant communities in Toronto, London and New York, “preserved” using the sculptural element of salt. Vancouver’s Ken Lum is one of Canada’s best artists. Now decamped to Philadelphia for a prime academic appointment, Lum is creating a night market focusing on dumplings. A range of dumpling cuisines typical of Toronto will be available to buy, each stall also featuring a banner made by Lum in his signature declamatory style. The French Tunisian artist eL Seed is known for his spectacular large-scale works that blend graffiti with Arabic calligraphy. For Nuit Blanche, the artist presents murals in Toronto and Scarborough, bookending the work of five local street artists that occupy one station each along the RT line that connects the two locations of the murals. A youth-led organization, RISE hosts a popular open mic session on Monday evenings, the largest such event in Toronto. Their special Nuit Blanche edition combines a night-long poetry slam and series of performances with the debut screening of the eponymous documentary film – telling the stories of Scarborough’s communities. For its first Nuit Blanche, the Ontario Science Centre goes all out with activities that include First Nations storytelling, a Nuit Bazaar food market – courtesy the Thorncliffe Park Women’s Collective – and an interactive installation about the immigrant experience by artist Zahra Salek and Yaw Tony. Free shuttles will get you there (and to the Aga Khan Museum) from the ROM. Daniel Iregui’s two-channel installation FORWARD (2015). Two passage-based installations at different sites. 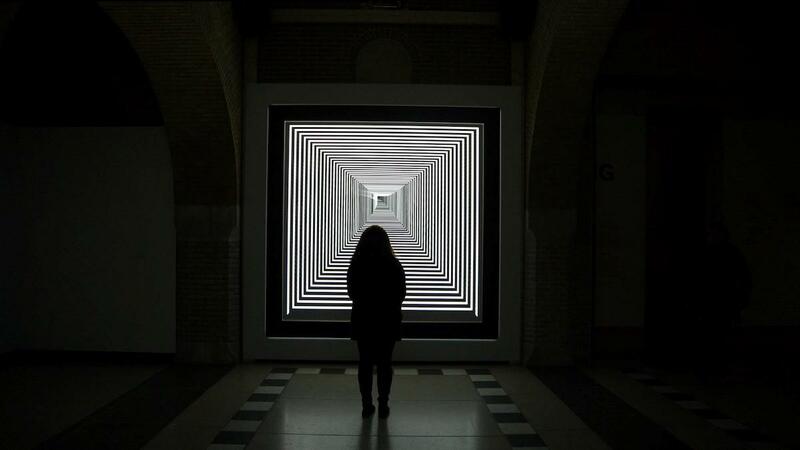 Montreal artist Daniel Iregui’s work invites visitors to walk through an endless tunnel composed of sound and light. The Mississauga-based smjilk similarly uses light and mirrors to create a transformative pathway for visitors at the Bata Museum. A chance to do your own Night At The Museum. On view are the ROMs current exhibitions – about Singh, and a show that considers his work in the context of #MeToo accusations against him. The evening also sees debut performances of a collaboration between Fung and Mehra (a writer and artist respectively) that brings an intersectional focus to the iconic Anne Of Green Gables story. Even if the skies are not clear come Nuit Blanche evening, audiences will be able to hear this project. Astrophysicist Russo is also a musician and collaborates with his SYSTEM Sounds collective to translate the intensity of the stars (brightness and colour) into volume and pitch. An all-night shamanistic performance by this Korean performing arts company and their friends from the Korean and Japanese performance-art worlds. A combination of theatre, music, drumming and dance evoke traditional Korean rituals of thanksgiving, asking the spirits for their blessings in advance of the coming winter months. A member of the Toronto Catholic School system, St. Joe’s is using the occasion of Nuit Blanche to reflect on its history. Images of the school as it existed in its earliest form will be projected onto its former site across the street: the buildings of the MacDonald Block, sleek examples of a late-1960s modernist style. For more on Nuit Blanche 2018, check out our interview with Lego sculptor Ekow Nimako here. You are currently browsing entries tagged with Scarborough at Army of YouTube.